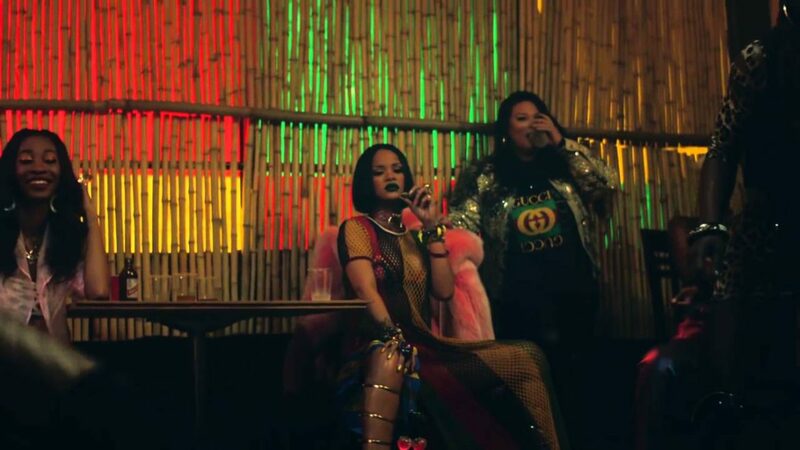 Rihanna has heard the cries of her Navy gang and has stepped forward to give an update on her upcoming album. For months fans have been harassing the “Wild Thoughts” singer on social media, begging her to release new music, and it seems they just might get those wishes judging from an interaction with one fan recently. 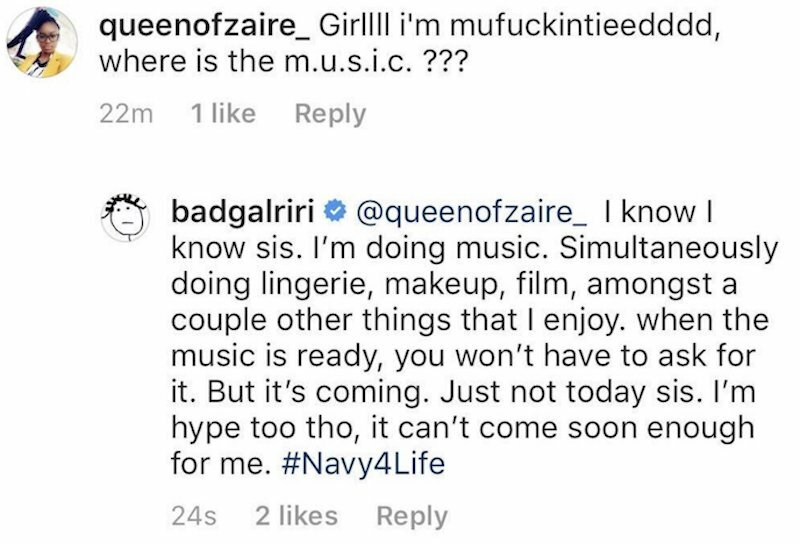 The singer also revealed that the lengthy delay was predominantly due to her she juggling makeup, lingerie, film, and music projects simultaneously. Earlier this year it was reported that the “Work” singer had recorded over 500 tracks for her upcoming Dancehall themed project, which would be narrowed down to about 20 songs. Rihanna’s last album was ANTI, which was released back in 2016 and has been certified three times platinum by the RIAA.